Coastal Clash accepts everyone. We welcome girls and boys of all ages, with a wide range of skill level. So we developed a diverse coaching staff to help train all players. Coastal Clash has dedicated coaches who have a wide variety of field hockey experience. Our staff includes multiple active and former high school coaches, lifetime players, and even current members of the US Men’s National Team. Amanda began playing at El Capitan High School where she played from 2003-2006. Amanda received Grossmont League MVP her senior year. She currently ranks 8th all-time in San Diego for career goals (72), and 4th all-time in goals scored in a season (48). Amanda played for UCSD in the Western Collegiate Field Hockey Conference from 2009-2012 where she earned Conference Offensive MVP 2010. 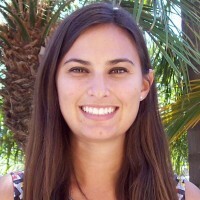 Amanda began her coaching career at El Capitan as assistant varsity coach in 2007 and 2008. She coached the first ever high school boys team in the United States 2010-2011 at El Capitan. Amanda began coaching for Coastal Clash in 2012, and became Club Director of The Coastal Clash Field Hockey Club in 2015. Tucker began playing field hockey for the East County Gators at the age of 15, playing multiple tournaments in adult divisions. After graduating, he started umpiring and in 2014 became the instructional chair for the San Diego official’s association. Tucker has had the opportunity to umpire throughout the United States and Canada officiating games including The US Men’s and Women’s Senior and Junior National Teams, The Canadian Junior National Team, and The Austrian Senior National Team. 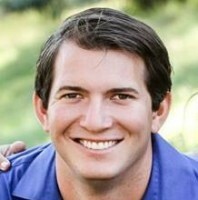 As a coach, he was part of the staff for the first ever boys high school field hockey team in 2010 and 2011 at El Capitan. 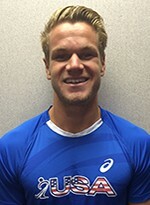 Tucker has been a coach with Coastal Clash since 2012 and became Co-Club Director in 2015. Ana has played field hockey most her life. She played at Torrey Pines High School as a four year varsity athlete; and in 2001 won The Palomar League and CIF Championships. She began coaching at Mt. Carmel High School as the head varsity coach, 2003-2005. She returned to her Alma mater as the JV head coach from 2006-2008. In 2007 was head coach of both JV and varsity teams. 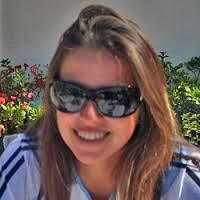 From 2009 to 2013, Ana was the head varsity coach of Canyon Crest Academy. She became the head coach pioneering a new program at Sage Creek High School in 2014 where she remains today. Ana founded Coastal Clash in 2011, passing the torch in 2015. She remains with Coastal Clash as an active coach. Manny began playing at his mother’s high school field hockey practices. He quickly ascended from the U18 national development squad, to the Men’s Junior National Team, to the The U.S Men’s Senior National Team. He has toured the world playing in Holland, Germany, England, Poland, France, Canada, Spain, Trinidad & Tobago, Singapore, and Malaysia, just to name a few. Manny was the JV coach in 2009 at La Jolla high school, futures program coach for 4 years, 2010 Men’s U19 regional national head coach, and 2010 Men’s U15 development assistant coach. 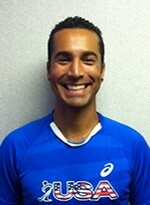 Manny is a current member of The Men’s National Team and actively trains in Adelaide, Australia. Mikey began playing field hockey in the second grade at an after-school program and has never looked back. He has since risen to play on both the U.S. Men’s Junior National Team and U.S. Men’s National Team. Mikey has played internationally on numerous countries on four different continents. 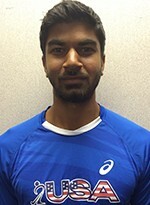 He has played at events such as World League Round 1 (Chula Vista, CA), World League Round 2 (Rio de Janeiro, Brazil), Australian Youth Olympic Festival (Sydney, Australia), and completed a European Tour (Den Hague, The Netherlands & Antwerp, Belgium). Mikey is an active member of The U.S Men’s National Team and continues to train right here in San Diego at the Olympic Training Center. Ajai began playing field hockey at the age of 8. Working hard his entire life, Ajai joined The U.S National Team in 2009. He has since helped Team USA advance to World League Round 2 and earn a bronze medal in the Australian Youth Olympic Festival. Ajai has travels around the world for field hockey. He visited Lille, France for Champions Challenge II in 2011, Sydney, Australia for The Australian Youth Olympic Festival in 2013, and most recetly made a European Tour to Den Hague, The Netherlands & Antwerp, Belgium in 2015. Ajai continues to train right here in San Diego at the United States Olympic Training Center and is the current coach of Canyon Crest Academy. Bethany became involved with field hockey in Ohio where she was part of the 2005 district champions and Final Four team. She continued playing two varsity sports, field hockey and lacrosse, at Denison University. On the field hockey field, Bethany was a four year defensive starter. She received All-North Coast Athletic Conference (NACA) honors and was voted team captain her junior and senior seasons. 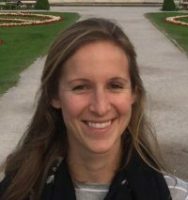 She has over ten years of coaching experience at the middle school, high school, and club levels and has coached field hockey for over five years. She coached at her alma mater, Thomas Worthington, and has been coaching at La Jolla since 2015 as the JV coach. Autumn played at Mira Mesa High School as Captain 2002-2005 and was awarded Best Defense, as well as San Diego Union Tribune Scholar Athlete. 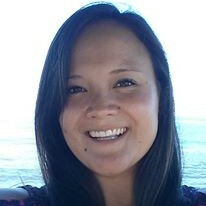 She coached at Mira Mesa High School for seven years spanning from 2006-2012. Autumn has experience coaching with The Strikers, Navajo, and Coastal Clash for Cal Cup, Festival, Winter League, and Play for Pink tournaments. She has been a coach with Coastal Clash since 2013. Now that you have met our coaches, let's look at our current playing opportunities.